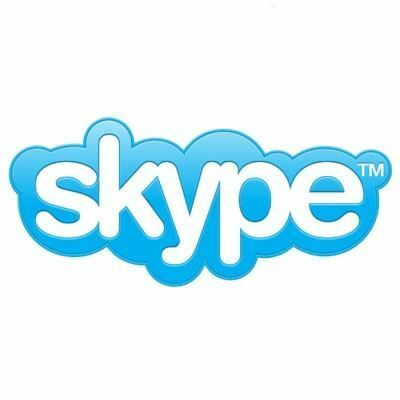 Have you downloaded Skype and created an account? Then you’re ready to get calling. You can share a conference call with up to 25 people, anywhere in the world, and if everyone’s on Skype it’s completely free. If you’re calling people who are on a mobile or landline, you’ll need a little Skype Credit or a subscription. 1 In Skype, from the menu bar, click Contacts > Create New Group. 2 From the Contacts tab, click a contact you wish to add to the conference call and drag it into the Empty grouparea. 3 Repeat this for each of the contacts you wish to add to the conference call, or click the + button and select Add people to this conversation. In the Add people screen, select who you want to add (Ctrl-click to select multiple people) and click Select and then Add. You can add up to 24 contacts. 4 Click the Call groupbutton. The screen changes colour, a call bar appears near the bottom of the screen and you will hear ringing until the first person answers. 5 If you can’t hear each other, click the call quality button in the call bar and check your settings (you may have to move your mouse to make the call bar appear). Get more help with checking your call settings. 6 To drop individual people from the call, move your mouse over the person’s image and click the red icon. You’ll only be able to do this if you are the host of the conference call.To end the call completely, click End call. 7 You can save this group in your contacts so you can call it again. At the top right, click the Save group in contacts button, enter a name for the group and click OK.
1 On the Contacts or Recent tab, find the group you want to call and click it. If you have lots of contacts, you can use the Search box to find the group. 2 Click the Call groupbutton. Send an instant message to the people on the call. When you receive an instant message, an orange dot appears on the icon. Mute your microphone so the other people can’t hear you. Send files, send contacts, share your screen or add more people to the conversation. Check your call quality settings and adjust your speaker volume.